The Census Bureau estimates that over 4.7-million people call South Carolina “home.” Unfortunately, the state does not fare too well in the health rankings. South Carolina moved down a spot to 46th out of the 50 states in the 2012 “America’s Health Rankings.” A number of factors determine health insurance South Carolina premiums. Here are some of the benefits and drawbacks associated with living in South Carolina. • South Carolina is eighth in the nation when it comes to binge drinking. • The “Palmetto State” is 24th in the country when it comes to preventable hospitalizations. 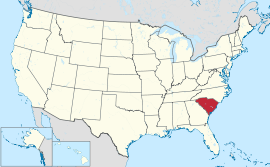 • South Carolina ranks 29th in the number of poor physical health days and 3th in the number of poor mental health days. • South Carolina is 42nd in the country in obesity. • The state is 47th in the nation in High School graduation rate. • When it comes to children in poverty, South Carolina is 48th. • South Carolina is 46th in violent crime, 49th in diabetes, 47th in low birthweight, and 42nd in premature death. • Of the 26 core measures in the rankings, South Carolina is 40th or higher in 11 categories.